With over 69 million items indexed on Scopus, how can you find and organize relevant research and keep updated on new material, so you have more time for other activities? 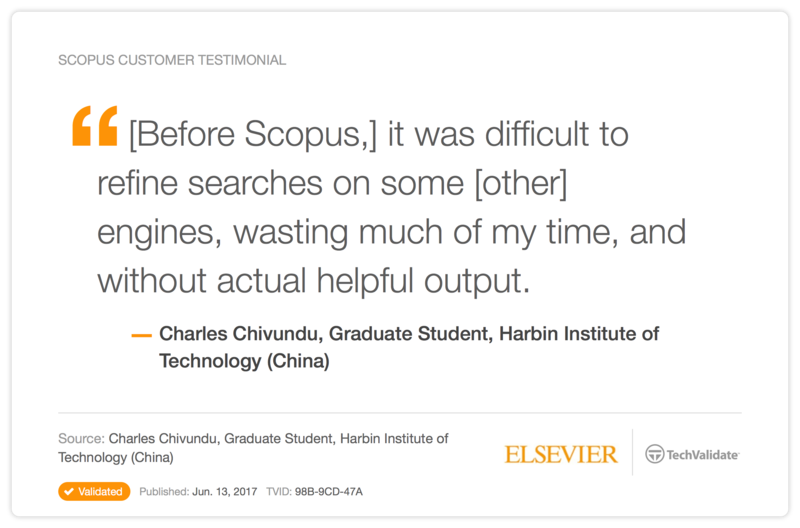 In this tip & trick, learn about some key Scopus features that can help. Use double quotations to search phrases. For example, if in the search box you typed: solar energy without quotations, Scopus returns over 168,400 document results. However, if you include the double quotations: “solar energy,” Scopus will look for items where “solar energy” is used as a phrase, reducing your results to just over 80,700 documents.